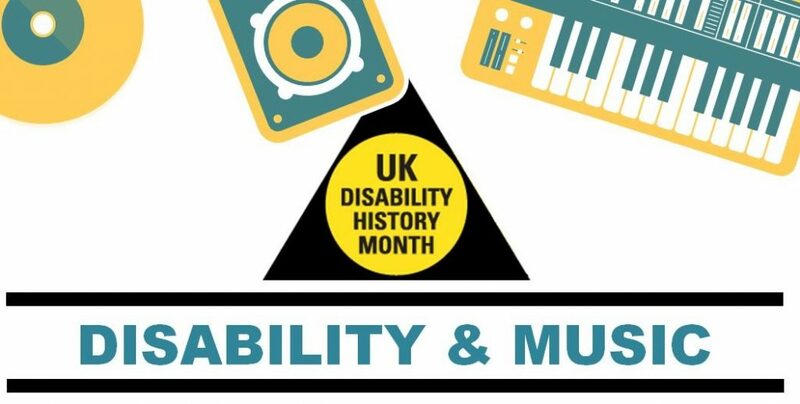 Disability History Month runs from 22 November to 22 December and this year the focus is Disability and Music. To celebrate, The Forum invites you to join us at the M Shed on 24 November. 13.35 Break for people to buy a drink or food in the café. There will also be a playlist of Disabled people’s music throughout the break. Information about the performers and speakers. 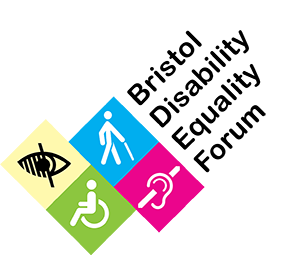 Raquel Messenguer – Raquel is a local arts activist who will be talking about her work to encourage venues to be accessible to people who can’t sit or stand in the same position for long periods of time by enabling them to lie down. Beth Richards – Beth is a researcher at the University of Bristol and active member of The Misfits, a local theatre and spoken word group of and for people with Learning Difficulties. Electric Storm Ensemble – The Electric Storm Ensemble is a group of Disabled musicians supported by Drake Music. They are an inclusive band of musicians based in Bristol who play and write music together and perform live at venues around the city. Barrington Chambers – Barrington is a local musician who plays in the Bristol Reggae Orchestra and has been involved in a number of other groups over the years. Symbiosis – Symbiosis is an emerging local band of Disabled singers, song-writers and instrumentalists who will be performing acoustic music. Mind Your Music – Mind Your Music is an inclusive music project aimed at enhancing the mental health of survivors of mental health difficulties and those in recovery from alcohol/drug addiction. Previous PostPrevious Would you like to become a Forum Advisor?